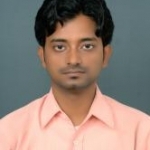 Saikat Roy from Ghatal, B.Pharma Graduate. DISPENSING MEDICINES.. INVENTORY & STORE MA.. PHARMACY MANAGEMENT AUDIT STOCK CHECKING NARCOTIC MEDICINE AN..
are one of expert skill area's of Saikat Roy . Saikat Roy is working in Health Care industry.